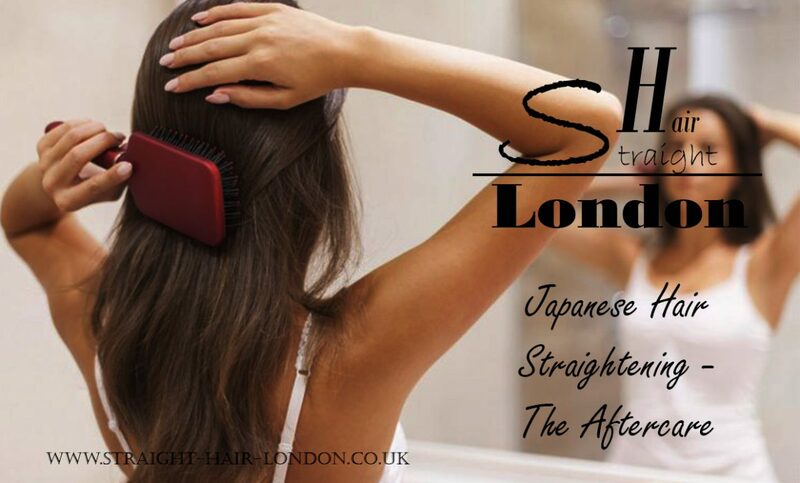 When you use Japanese hair straightening for your hair, you’re going from whatever you were previously to silky and straight. This is usually an excellent thing, and most of our customers have loved the change. But the aftercare of your hair is extremely important, so we’re going to cover it now. So, how should I look after my hair once my treatment is done? Once you have had your treatment, congratulations; you’re now well on your way to having straight hair, and there is just the aftercare period to get through before you’re free to do with your hair whatever you like. The first 72 hours after the treatment has been completed are the most crucial regarding keeping your hair safe from damage. The most important rule is that your hair does not get wet at all. This means it can not be washed or exposed to any liquids, including rainfall and sweat, or this will damage the work the treatment is doing. You are also not allowed to put any product into your hair. So dry shampoo, wax, hair gel or hairspray is also not allowed. This is to enable the hair time to adjust to the new shape it has been turned into. For this to be as efficient as possible, the hair needs to be kept straight. This is because if you bend it, you may run the risk of that hair not being able to adapt to the treatment correctly. You should, therefore, avoid ponytails if you have them, and also tucking the hair behind an ear. As well as this, if you wear glasses or hats, you should avoid wearing them for the 72 hour period, as those kinds of things which come into contact with the hair will serve to damage it. Once the initial 72 hour period is up, you’ll need to follow a few more rules to keep your hair looking straight and stunning. You should avoid swimming for the first few weeks, as the exposure to chlorine will damage the hair, as well extreme sunlight. So if you plan to go out in good weather, wear a hat. It is worth noting that the amount of moisture your hair absorbs is now reduced, so you don’t need to blow dry it as much, and too much could result in damage to the hair, as it would an average head of hair. Overall, these are the things that you should be doing if you’ve been using Japanese hair straightening and you do not want to damage the hair or interrupt the straightening process. The 72 hour period may well seem like a lot, but it is worth taking into consideration that you may well be sleeping for roughly 24 hours, and it will pass quicker than you would think. Once that 72 hour period is up, you’re free to do with your hair whatever you want, but remember to follow the aftercare rules and avoid exposure to high levels of sunlight or chlorine.